Thanks to Indesignlive for featuring our latest project: Full Circle By Expat. Roasters in Ubud Bali. Thank you to Inside and Australian Design Review for featuring X+O in the Practice Spotlight. A great honour. Our project for Expat Roasters is featured in the latest issue of Artichoke. Thanks Cassie Hansen for the write up! Our talented interior designer Tahlia, presents the thinking behind the concept for the new Thynk showroom, unveiled last month. 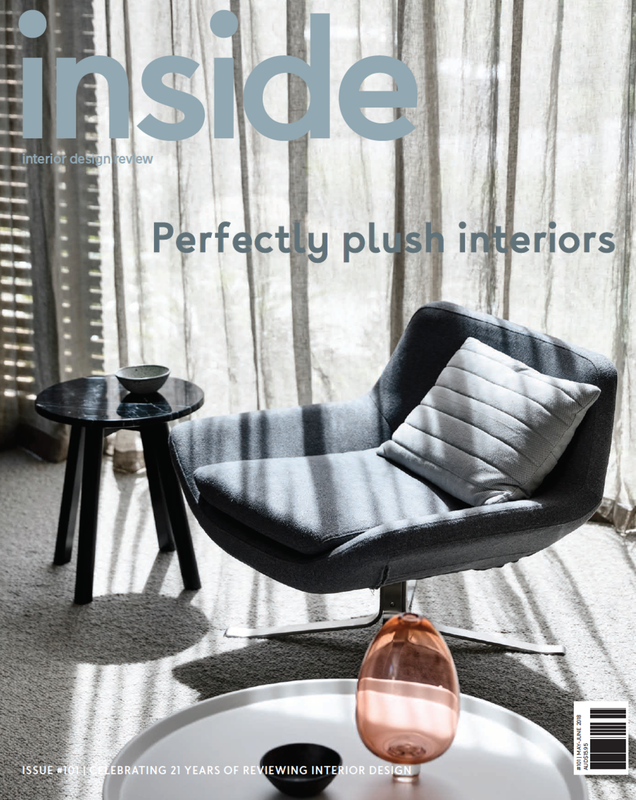 X+O was featured in the latest issue of 'inside' magazine's Design Wall. Thank you to Niche Media. We are very excited to be developing the final details of an exclusive the architectural finishes showroom experience. We have worked very closely with our client to redefine the customer journey of the space, focusing heavily on the experiential elements and have used these to influence our design solution. Here are some of our initial concepts. Due to open Q3 2018. We are blown away with @NewYorkTimes ‘new approach to digital storytelling through augmented reality’. A recent feature in the NYT app, readers are invited to augment one of David Bowie’s costumes into their living rooms using their phone camera- nothing else needed! Of course we were compelled to try immediately- and presto- The Kansai Yamamoto black-and-white striped patent leather jumpsuit for Bowie’s Aladdin Sane tour is sitting in our office. We have zoomed in, zoomed out walked around it and tried to touch it. An incredible outcome of a collaboration with NYT and the Brooklyn Museum who’s current exhibition ‘David Bowie Is’, which includes the costume. The app really does give those of us who can’t make it to NY a taste of the artist that was. A great example of immersive story telling across multiple platforms- digital and exhibition. You have seen the construction pics of our latest Ubud project. Now here's what it will look like! 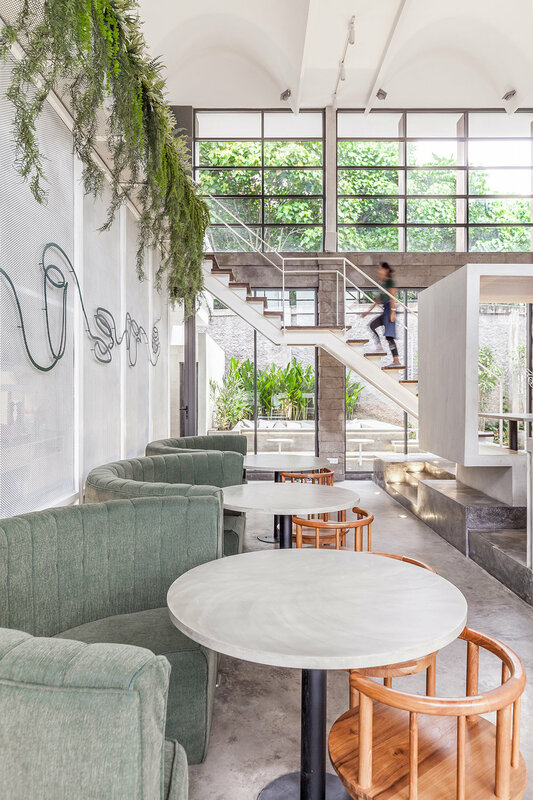 Located on the ground floor of a newly opened hotel in Ubud, Bali, the food and beverage offer was to deliver its own identity. This allows it to be a stand alone offer that could attract hotel guests and Ubud tourists alike. X+O drew inspiration from the famed rice fields and monkey forest surrounding the hotel. The space was broken into zones and the topography of the undulating rice fields was mimicked. X+O created customer profiles for the various users of the space from the time poor, to those who would be lingering. This defined the how the space was laid out and where the level changes were strategically placed to channel customers through the areas. A central espresso bar became the communal space where individuals and the curious could learn about various coffee brewing processes- the heart of the space. Dubbed the ‘rice field seats’, a tiered amphitheater style of seating encouraged groups to perch themselves above and look down into the espresso bar. Cushioned banquette seats both indoor and outdoor, encourage customers to stay and play. Due to open mid 2018. Concept by X+O. Project delivery in collaboration with A+A Architecture, Jakarta. 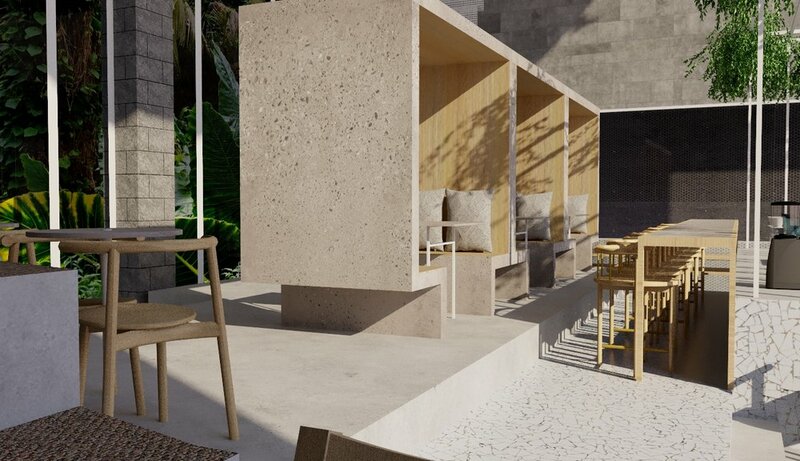 Our latest project located on the ground floor of a newly opened hotel in Ubud, Bali. It includes a restaurant, espresso bar and whiskey bar with a separate identity from the hotel. Its currently under construction and due to open mid 2018. Rebecca Minkoff is doing it right. Winner of 'Top Innovator' at this years fashion awards following the opening of her flagship store in NYC's Soho, which connects digital with bricks and mortar through the integration of a smart mirror system. Not only can you select to have your garment and beverage of choice (bubbles.. yes please!) sent to a personal fitting room by your stylist whilst you browse.. You can also select a choice of lighting style in your fitting room to mimic your next event. Choose from a localised list including Highline sunset and Brooklyn morning. The smart mirrors in each fitting room also act as digital stylists, making accessory recommendations, saving your styling session for later, or having it sent to you via email or text. If you prefer the real deal, you can choose to have the smart mirror send your stylist to consult in person in your fitting room. A new fleet of solar powered food carts hit the streets of New York this Spring. Free for small business owners choosing to sign up, the new carts are funded privately and through donations. In a city where calorie content in food is required on all fast food menus, this initiative aims to drive cleaner food preparation and reduce pollution. The carts feature solar, battery and renewable fuel powered systems. As creative thinkers, we are constantly looking for inspiration, and new ways to brainstorm. Its no secret that switching up your physical environment isn't just a fun change of pace, it can also change the way your brain works. Neurobiologists believe that spaces could speed up the rate at which the human brain creates new neurons and neural connections. That means that where you brainstorm with your team, could affect the ideas you generate. Some other effective brainstorming tips that our team has learnt over the years include: doodling, word games and mood boards. Most importantly, never disregard any initial idea until it has been explored. Studies have shown that partakers in brainstorming sessions are often anxious in the company of senior stakeholders and tend to hold ideas back. By kicking off with 'bad' ideas, a relaxed atmosphere is created and tends to get the creative juices flowing.. frequently leading to 'good' ideas.